ONLY chose to stay focussed solely upon their ultimate goal to succeed at the 2012 London Games. Just prior to the event, the only postings to this website were to their Press pages and links to event photographs buttons above on this page. ONLY Racing gratefully acknowledge the support of all photographers' material used for their personal promotion on their website including but not exclusively Thom Touw Photography, onEdition, Sail Sheboygan, Martinez Photography, WIMRA, AST, Saltwater Images and Priceycentral. Our apology for anybody missed here - please drop us a note to rectify any concerns. Australian sailors Olivia Price, Nina Curtis and Lucinda Whitty have finished fifth at the 2012 ISAF Women’s Match Racing World Championship in challenging conditions in Gottenburg, Sweden. Price, Curtis and Whitty finished their regatta on a high with wins against Great Britain’s Lucy Macgregor and Renee Groeneveld of the Netherlands. Australia’s Women’s Match Racing team has won their way through to the next stage of racing at the 2012 ISAF Women’s Match Racing World Championship in Gottenburg, Sweden. Olivia Price – AUS – Match Race: Were really excited to win here of course, it’s always good to get a win but to have it here at the Olympic venue is really special. We had a really long day, we started at 8am and had to get through quarter finals, semi-finals and finals and finally got off the water at 2.30/3pm so it was obviously a long day but we really enjoyed it. Being part of the Olympic team is like being part of a family, it’s really nice having everyone down on the dock to see us and cheer when we come in, we all do it for one another, there’s a lot of team spirit it’s something we’ve been building up for over the last few years and a really positive team. On the day they were named to make their Olympic Games debut Australia’s Women’s Match Racing crew of Olivia Price, Nina Curtis and Lucinda Whitty began their regatta in perfect style with six wins from six starts. Australia will head out onto the seas of Weymouth with a star studded team determined to become Australia’s most successful sailing Olympians in history when competition kicks off at the 2012 London Olympic Games. London 2012 Olympic Sailing Competition is being held in Weymouth and Portland, Great Britain, from 29th July to 12th August. Australia will head out onto the seas of Weymouth with a star studded team determined to become Australia’s most successful sailing Olympians in history when competition kicks off at the 2012 Olympic Games. 30 May - It's Game On! Nina Curtis is on her way to London with a shot at brining home a gold medal. The 16 entrants for the 2012 ISAF Women’s Match Racing World Championship, set to be held from 20-25 June in Gothenburg, Sweden, have been named. The regatta will be one of the last opportunities for the Women’s Match Racing teams to test themselves against each other ahead of the London 2012 Olympic Sailing Competition. Olivia Price (AUS) has moved to the top of the Women's Match Racing Standings after another consistent performance. The young Australian defeated Tamara Echegoyen (ESP) in the Petit Final in Palma and tops the Standings with 37 points. 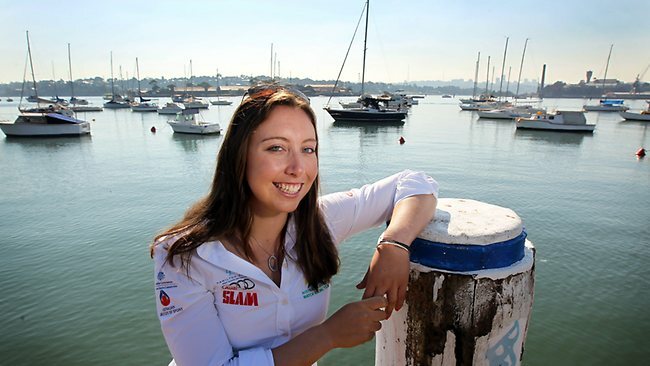 Our newly formed partnership July 2011 - Olivia, Nina and Lucinda Yacht Racing Team Australia (ONLYRacing Team AUS) - in July 2011 ONLY began to focus on their "one year out" program in their lead up to the 2012 London Olympic Games. The ONLYRacing Team were members of the Australian Women's Match Racing Team and qualified Australia for entry to the 2012 London Olympic Games at the Perth 2011 ISAF Sailing World Championships in December. The ONLYRacing Team, as members of the Australian Women's Match Racing Team receive generous support from many organisations such as the Australian Sports Commission, the Australian Olympic Committee, the Australian Institute of Sport, Yachting Australia, as well as the Cruising Yacht Club of Australia and the Aim For The Stars Foundation. Notwithstanding this support, there still remains a shortfall in funding in order to complete their campaign to win the GOLD MEDAL for Australia. Please contact us via the Support page link for information on how you can join our campaign to pursue Gold for Australia in 2012 with the ONLYRacing Team's Olympic.